Have I been bitten by something poisonous? Bites and stings from native fauna are a common problem in Australia, only some of which can cause serious illness or, rarely, fatalities. Snake bite, Funnel Web spider bite and jellyfish stings in Australia can potentially be a life-threatening condition. Click 'Reveal Response' to manage common bites and stings. There are many plants and fungi that can be dangerous or even fatal if ingested. Children in particular are at risk of harmful effects from garden plants as they crawl and taste various flora. It is important to teach children not to ingest strange flowers, leaves and other parts straight from a plant or bush. FIRST AID for poisoning from plants is as for any other ingestion or contact. Has my child been poisoned? If your child has been exposed to something and you are concerned about poisoning, call the Poisons Centre on 131126 immediately. DO NOT INDUCE VOMITING. Take the product with you to the phone (or a photo of it) so you have all the product details. One of our trained Specialists in Poisons Information will assess all the information and decide what needs to be done next. They may advise on appropriate first aid, and will tell you if you need to go to the GP or to the hospital. How can I prevent poisoning in my home? 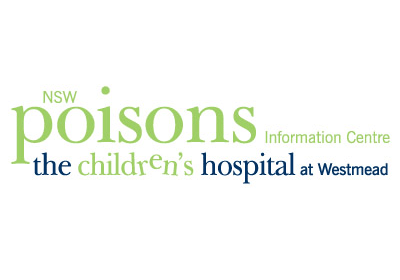 What do you need to know when calling the Poisons Centre? Who was exposed, including their age and weight? What was the product they were exposed to and how much of it? When did the exposure occur? How is the person now, do they have any symptoms? All information provided forms part of a medical record which is kept confidential.